At Bad Martha, we believe in three things: great beer, getting bad and doing good. Every sip of our premium craft beer is a reminder that there’s a paradise out there where you can kick off your boat shoes, let your hair down and leave it all behind. That paradise is Martha’s Vineyard. Don’t hold back. Don’t bring your off-island worries. Don’t be too good. Drink it all in. And while there’s a bit of bad in every drop of beer we brew, there’s also a whole lot of good that comes with every bottle we sell. 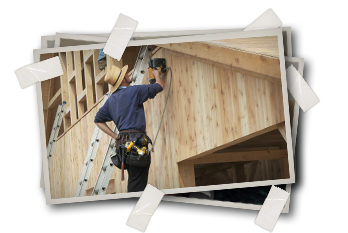 That’s because Bad Martha is built on a simple idea – community first. We bring this idea to life by donating the first portion of profits to a local hunger relief charity. What’s left goes back into brewing more delicious Bad Martha. We’re proud of our beer. We’re even prouder of the island that inspired it. We hope you enjoy both as much as we do. 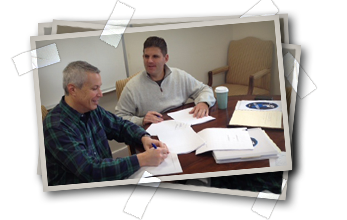 pen approaches paper as founders jonathan and peter prepare to ink the deal. Martha’s Vineyard, December 23, 2012: Soon, Bad Martha beer would be ready to hit Martha’s Vineyard for the start of summer. the deal has been done. A hearty handshake and wide smiles signal the realization of a dream – a beer brand that puts giving back to the community before profits. Off they go to Ipswich – a coastal Massachusetts town known for tasty clams and beer. Ipswich, February 2013. 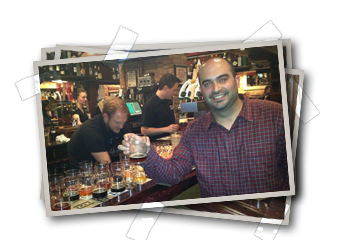 Jonathan partners with Mercury Brewing, one of the industry’s most well-respected contract brewers, known for taking secret recipes and brewing them to perfection for their partners. Jared readies over 50 beers for a tasting with the team. Chicago, April 2013. The fate of Bad Martha’s flagship brew hangs in the balance as Jonathan, Peter and Jared (Inaugural Master Brewer*) narrow down the types of beer to the one that will make the biggest, tastiest splash. Jonathan and Peter really like beer. Chicago, April 2013. Jared brings out the brews. 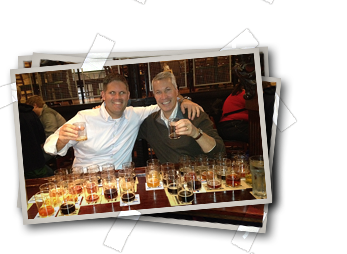 And Jonathan and Peter are tasked with the tough job of trying them all. They land on an ale style that later becomes the inspiration for Martha’s Vineyard Ale. The Louisville Sluggers think – and drink – on the future of Bad Martha. Louisville, April 2013. 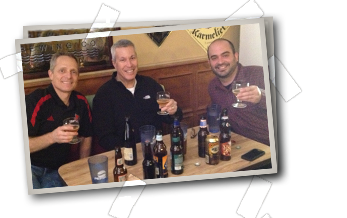 Jonathan, Jared and Todd (good friend, big beer fan) share a pint or nine at Sergio’s as they test aromas and colors for the first Bad Martha ale. Bad martha's maiden voyage sets sail. Boston, May 2013. 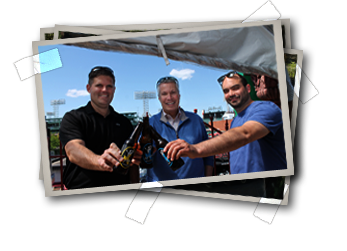 Jonathan, Peter and Jared crack the very first bottles of Bad Martha at the Baseball Tavern overlooking Fenway Park. Bad Martha drops anchor on the island. Martha's Vineyard, June 2013. Martha's Vineyard locals try their first Bad Martha at Taste of the Vineyard. great beer and hard work pays off as the first 10% of bad martha profits goes to the island food pantry. Martha’s Vineyard, August 2013. 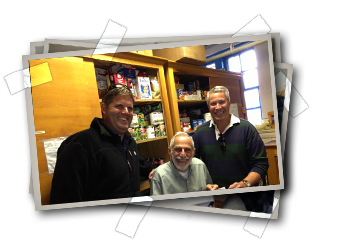 Bad Martha’s first profit lands in the hands of Jonathan and Peter in Martha’s Vineyard on August 20, 2013. As laid out in Bad Martha’s mission statement, the first 10% is donated to a local hunger relief charity. Bad Martha makes her Boston debut. Boston, September 2013. 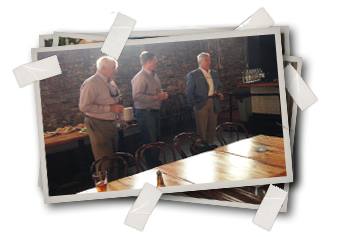 Tim Sheehan - CEO of L. Knife/Craft/Seaboard (Bad Martha’s distributor), Peter, and Jonathan present Boston with its first taste of Bad Martha beer, as our mischievous mermaid surfaces at a launch party at Lincoln Tavern & Restaurant. 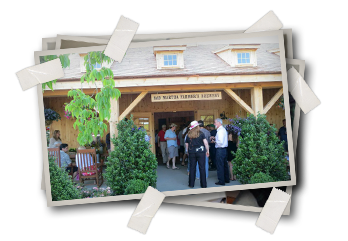 The Bad Martha Farmer's Brewery and Tasting Room is a post and beam barn made by the Amish in Pennsylvania and shipped to Martha's Vineyard in pieces for re-assembly by the team that built it, along with locals, Rosbeck Builders. 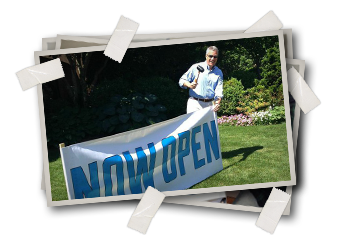 Jonathan stuck a Now Open sign in the ground and swung the doors open to the Farmer’s Brewery. 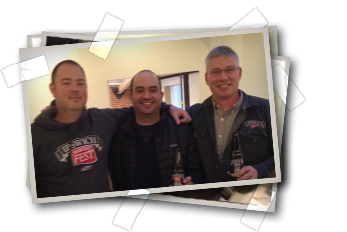 Our friends came to celebrate and drink delicious locally-made craft beers with us. 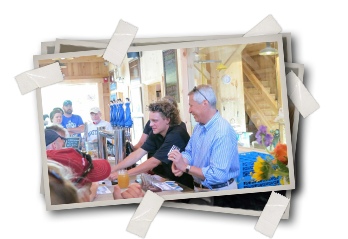 Our brewmaster, Jim Carleton, got us started with a Chocolate Stout to die for, a Double IPA, Honey Helles made from island bee honey, Belgian Wit, and Hefeweizen, in addition to our portfolio of Bad Martha beers made in Ipswich – Martha’s Vineyard Ale, Summer Ale, and Island IPA. Island folks sure like a good craft beer! 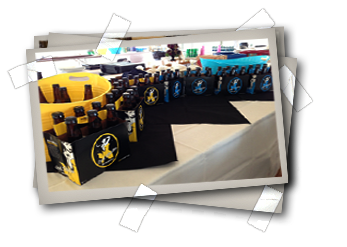 And they bought T-shirts, beer flight paddles, Frisbees, glasses, and plenty of growlers to take with them.. Modeled after winery tasting rooms in the Napa Valley, all of the beer on tap at Bad Martha is available to sample free first! See? There is such a thing as free beer. * Jared created Bad Martha's delicious recipes and has moved on to open his own brewery, unrelated to Bad Martha, in Chicago. 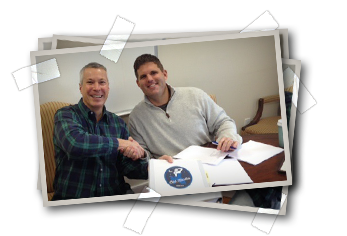 We wish him as much success with that venture as we're having with Bad Martha!